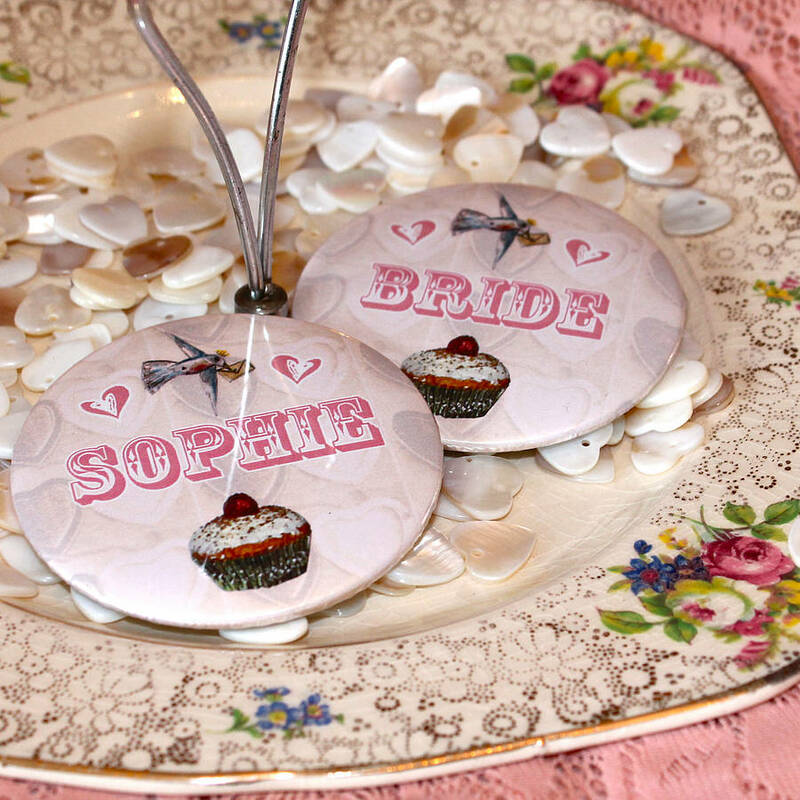 Gorgeous large personalised pocket mirrors. 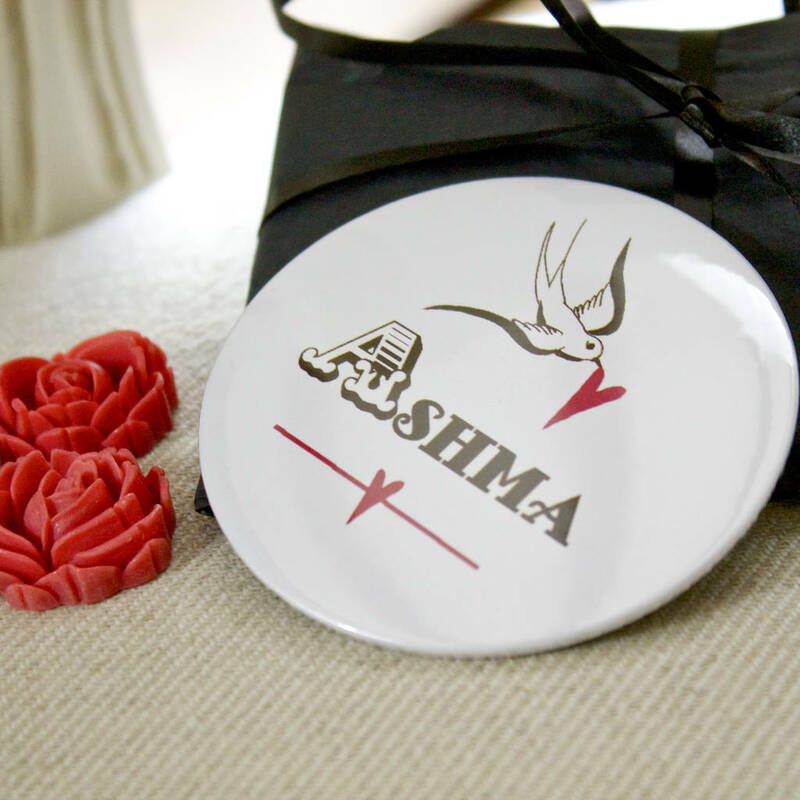 Perfect mini gifts and ideal for parties and weddings. 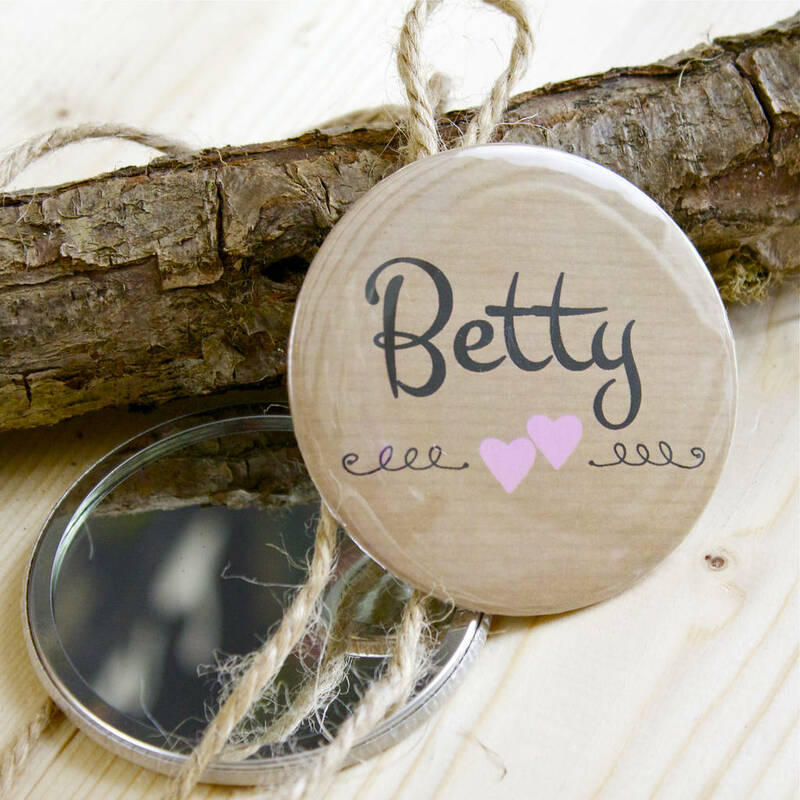 Each mirror can be personalised with a different name eg Sophie or person in the bridal party such as the Flower Girl or Bridesmaid or wording of your choice. 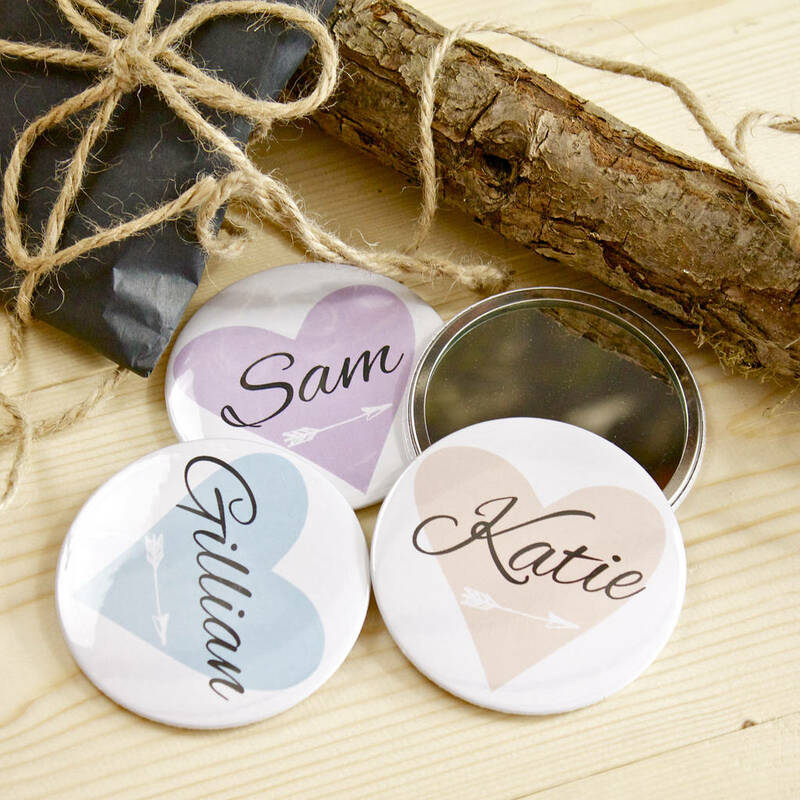 Choose from a selection of gorgeous designs, if you have specific colour requirements many of the designs can be changed to suit you, we can also change wording for Hen Parties, 21st Parties etc, just get in touch and we'll put something special together for you. Personalised mirrors are £4.50 each or enjoy lovely discounts when you buy more ! We have put sets together in multiples of 10 but please get in touch if your order isnt and we'll put a customer special on the page for you . 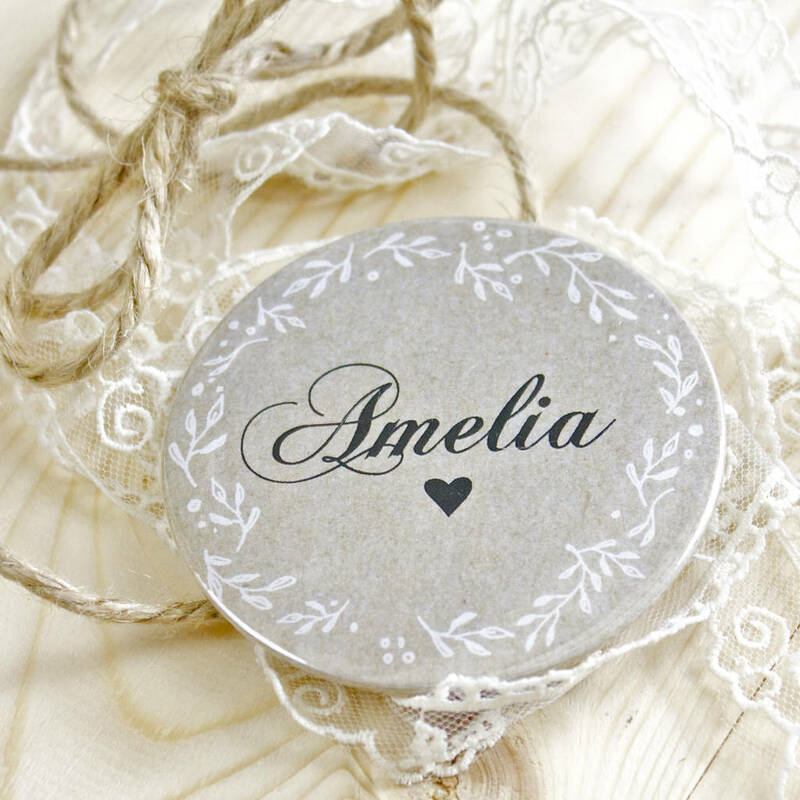 We will contact you after ordering to discuss your personalisation details for orders 10+ you are welcome to have all different designs, personalisations etc . 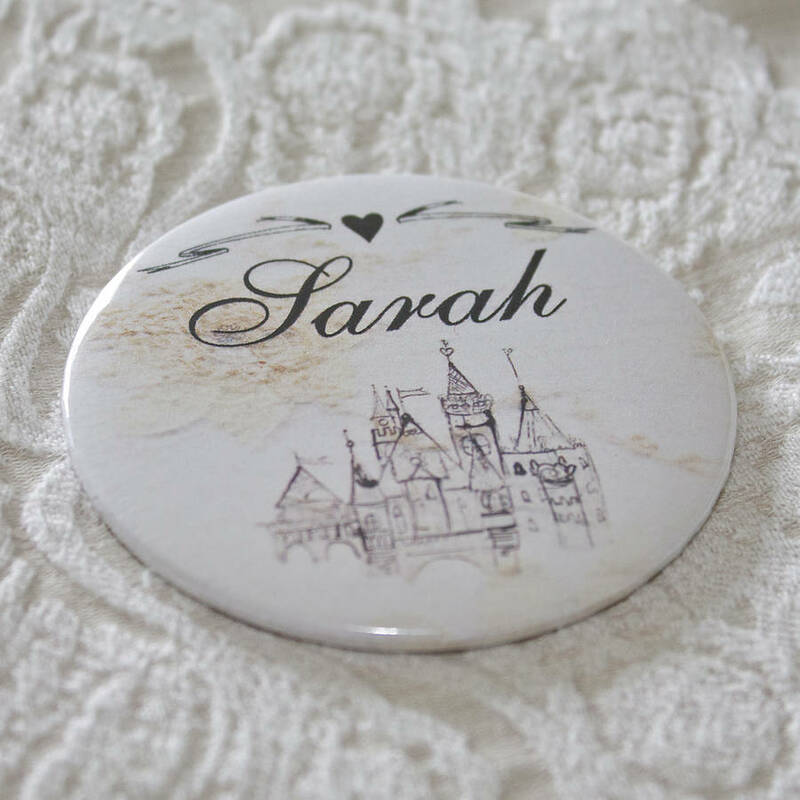 For personalised orders 1+ each mirror comes with a little label on the outside so you will know which is which when gifting. 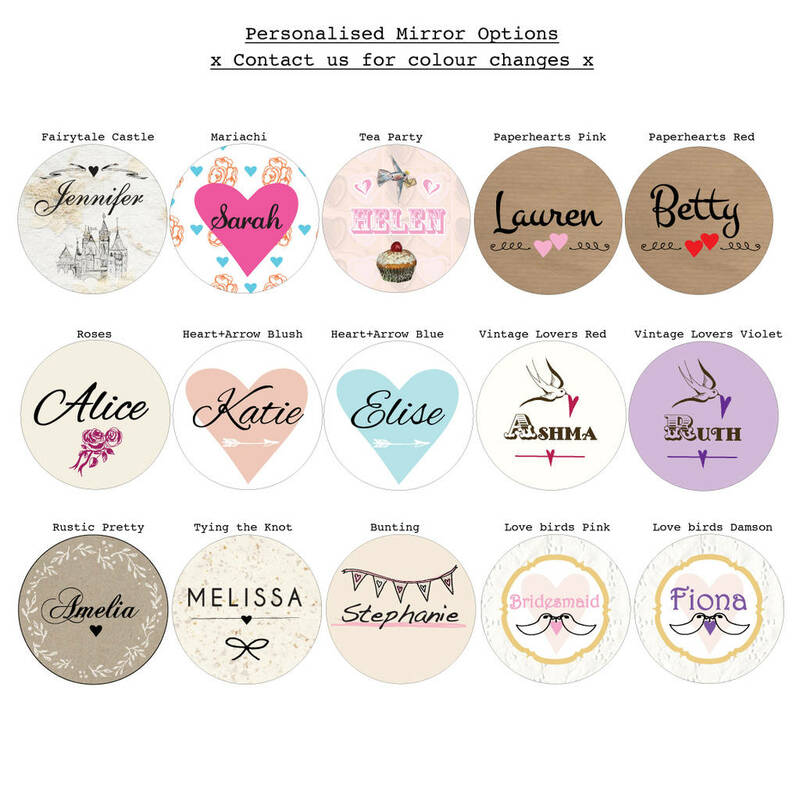 Mirrors are printed with your personalised design, covered with a plastic film layer to protect the front and pressed together with a large pocket mirror and metal casing on the reverse. 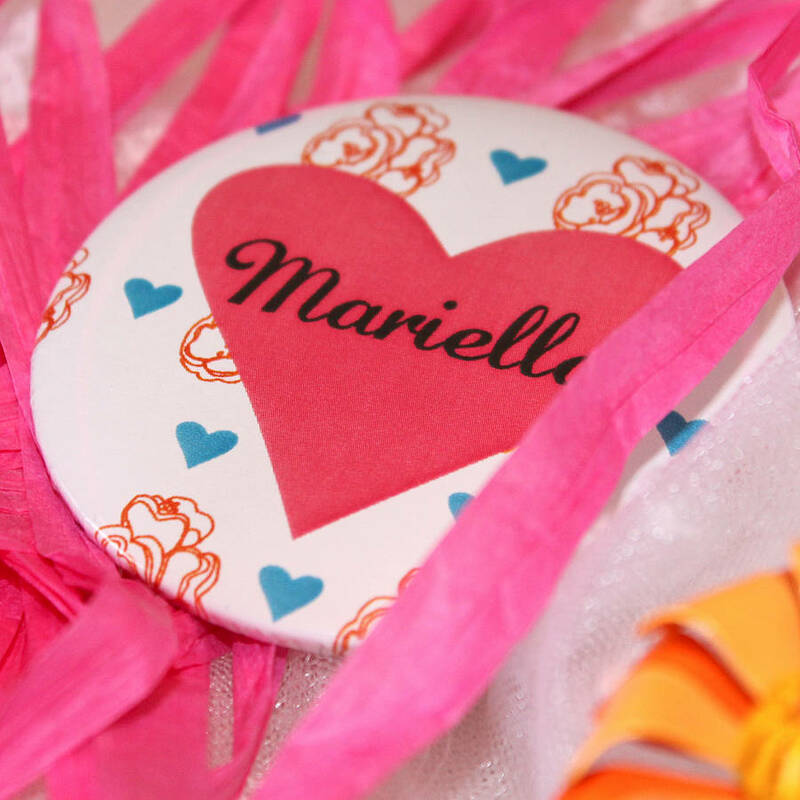 Each mirror arrives in a bubblewrap layer beautifully wrapped in tissue paper with a ribbon or string trim. 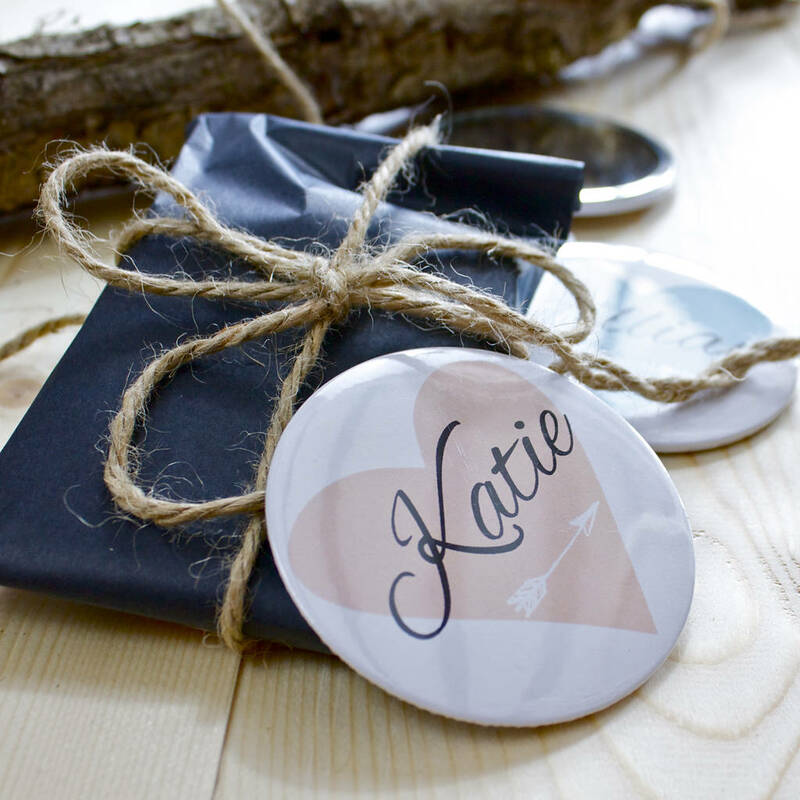 If buying more than one, parcels will include a name on the outside to show who's is who's.